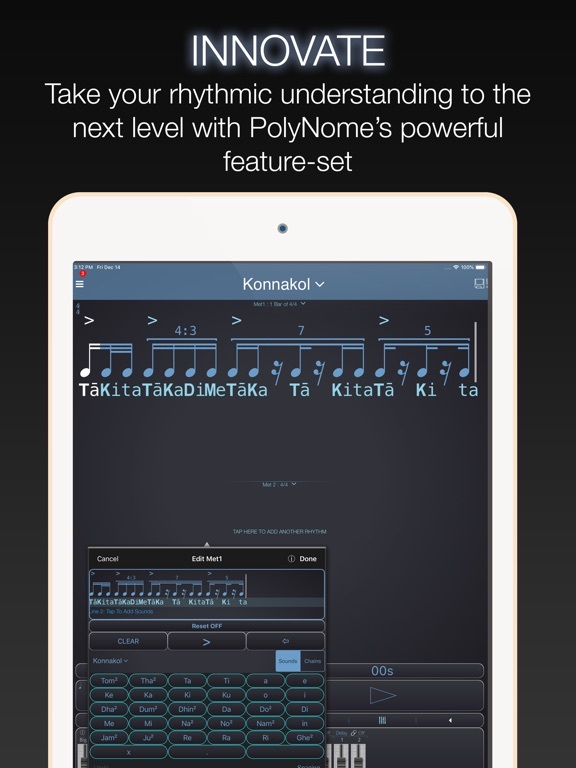 PolyNome gives you all the tools you need for practice, teaching, rhythm composing, and live performance. 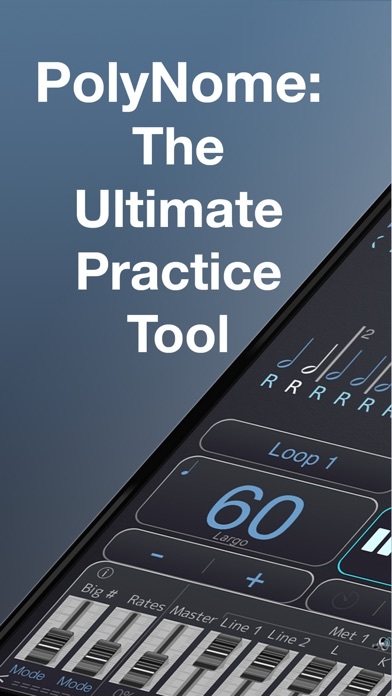 The free Public Library provides hundreds of user-created Presets and practice routines to inspire you. 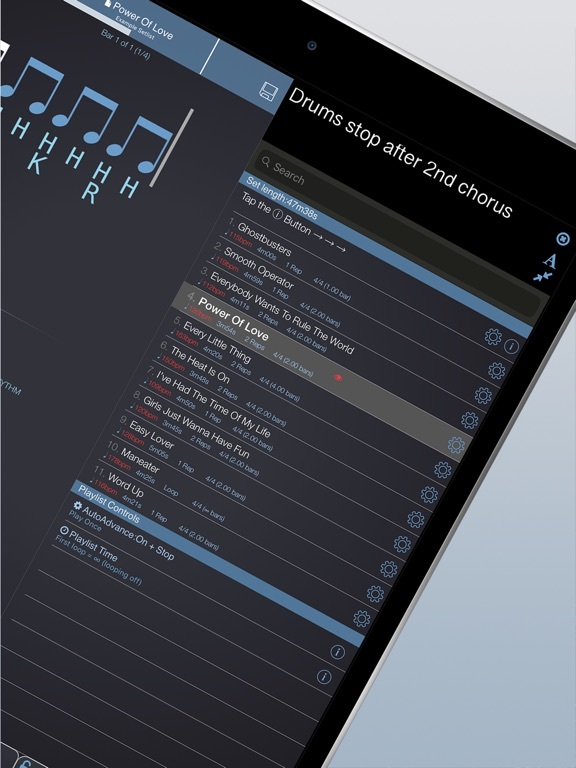 • Create and print setlists and use it to count off songs. 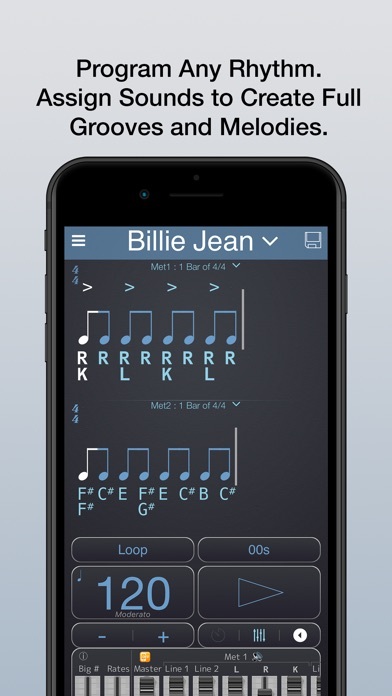 • If you enter the lengths of the songs, PolyNome calculates the set length as you add them! 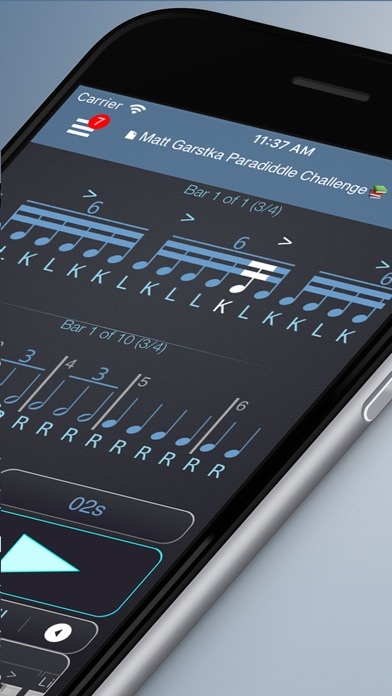 PolyNome is used by the world's top musicians including Peter Erskine, Virgil Donati, Chris Coleman, Vinnie Colaiuta, Dave Weckl, Dennis Chambers and Will Lee. "Wow! 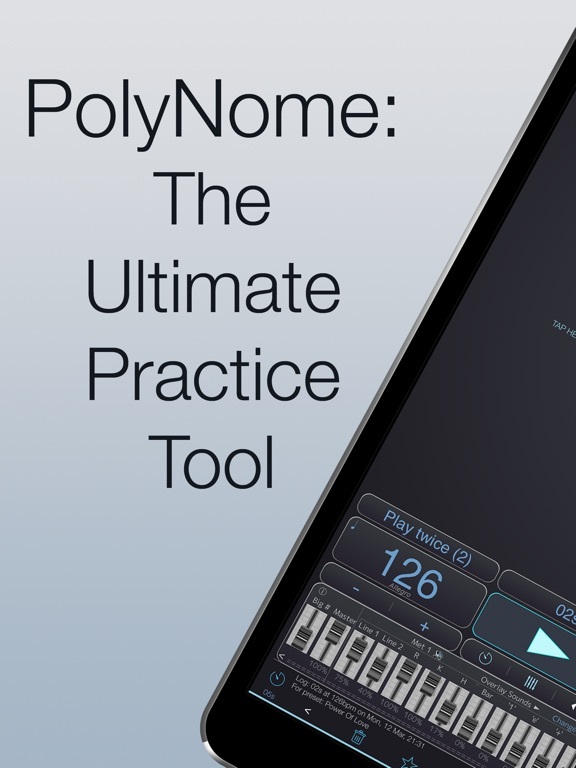 Polynome is a brilliant tool for drummers and any musician! 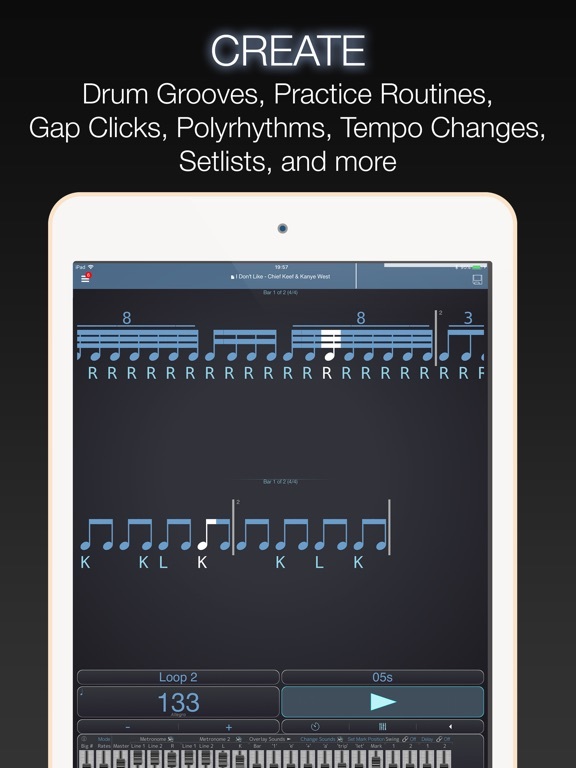 It allows you to understand precisely what subdivisions among bars of time feel like, teaches you the drum rudiments, and so much more. 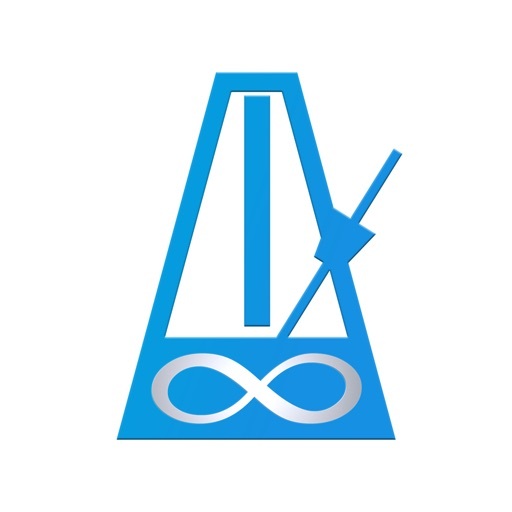 I love "time check" where it'll leave bars of silence in between bars of click to see if your groove stays in time. 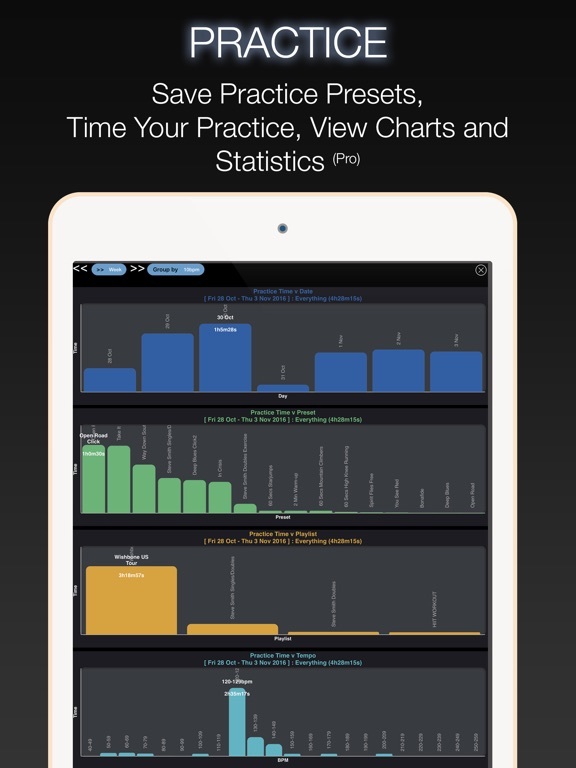 One of the best apps for your toolkit!" This update brings a few new features and fixes a few minor bugs. MUTE LINK: Tap "Random Mute" on Met 1, you'll find new options to link the muting of the Overlay Sounds, and of Met 2, to the muting of Met 1. PLAYLIST MERGING: When you merge Playlists in Playlist Manager, the Auto Advance and Voice Announce settings will be honoured. Check the "What's New" in Help to see a video of this in action. 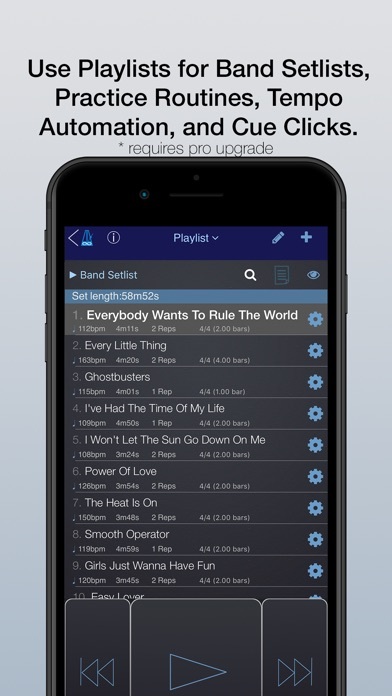 PLAYLIST ACTIONS: Select multiple Playlist items and tap Actions. 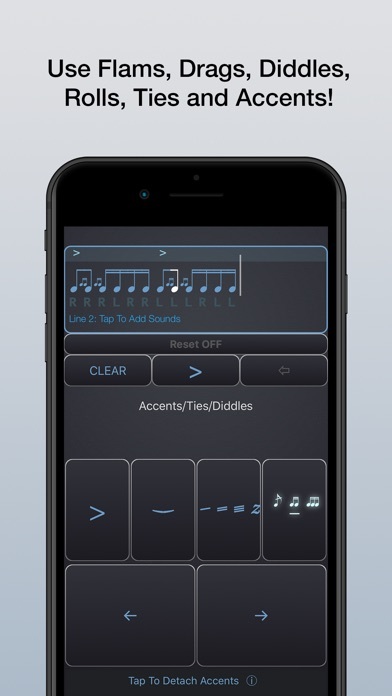 There are new actions under Auto Advance Options for setting the Cue Sound. - When loading a Playlist from the Quick Access list, it will load properly in the main window. - Accent Reset for Detached Accents is now honoured properly. - Fixed bug that crashed PolyNome on first load of a new build. - Fixed some Auto Voice Announce issues. Enjoy, and don’t forget to tag @PolyNomeApp when you post your creations. I love to see what you’re doing with PolyNome.